Mother’s Day is only 6 weeks away! This is a wonderful gift giving holiday with much opportunity. 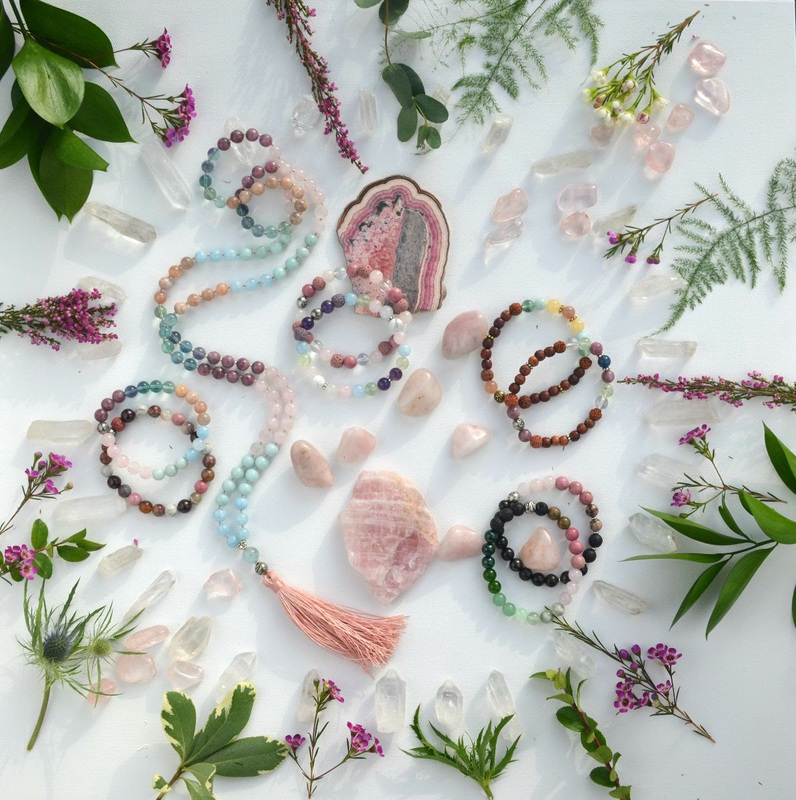 At Moxie Malas Mother’s Day is one of the biggest gift giving holidays. What better way to show the special woman in your life how much she means to you. The Mandala Essence Collection features 8 different bracelet intentions with their own special story. Each of these bracelets can be used as essential oil diffusers as well. Starter Kit includes 8 styles (3 of ea.) and a beautiful etched bracelet stand – Only $399! e’ve been looking up to Victoria Beckham since her days as Posh Spice simply for being the super chic human that she is. Though her name is typically associated with fashion and her eponymous designer line, we trust her stamp of approval within the beauty world as well. After all, she’s 44 years old yet has the smooth, pore-less complexion of a teenager. She’s also proven to be quite a beauty buff in her own right, by releasing a makeup collection with Estée Lauder in the past (not to mention showing us all up with her perfect in-flight beauty routine). Rest assured she knows what’s up when it comes to beauty. Yesterday, Beckham took to her Instagram stories to share her brand-new skincare routine with her 23 million followers, crediting Australian celebrity facialist Melanie Grant for the new product recommendations. Keep scrolling to see all five of the new products she’s using. Rosacea is an inflammatory skin condition that most often affects the face. Medical expertise and diet are pillars in caring for rosacea. It is important to have a skin care line to help clients in treating affected skin. M.A.D Skincare Delicate Line soothes, nourishes and balances skin, delivering calming and soothing botanicals, free of harsh chemicals and parabens; and helping avoid irritation and sensitivity. A client favorite, M.A.D Skincare Redness Rescue is a gentle, soothing lightweight gel that leaves skin feeling calmed and nourished – not greasy. Quick absorbing botanicals and peptides such as Water Lily Extract and Soothing Peptide Complex, help maximize results and minimize redness and discomfort. A cocktail of skin soothers and extracts formulated into a hydrating gel, setting the tone for de-stressing and calming irritated skin. Does not contain parabens or chemical colorants. Bon Vital’ Complete™ Massage Creme flawlessly combines the features of an oil and lotion, making it ideal for high glide to deep tissue techniques, perfect for any client. Nail professionals are constantly being pushed by their superiors to produce flawless manicures and pedicures in a short timeframe that is simply not possible . Unfortunately, for as long as salons have existed, owners have been looking to get the most bang for their buck. Hence, the popularity of walk-in establishments that promise prompt service while packing as many technicians as they can get into one fluorescently-lit storefront. But when salons and spas start favoring quantity over quality, nail care turns into nail careless. Sure, Dazzle Dry delivers hard-set nails in just five minutes, but that doesn’t mean we don’t believe in respecting process. In fact, that process – which includes everything from properly prepping the nail plate to precision cuticle care and polish application – can be the key difference in a manicure that lasts three weeks or three days.